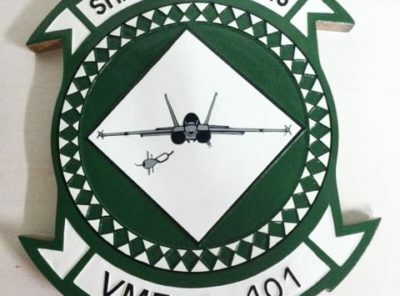 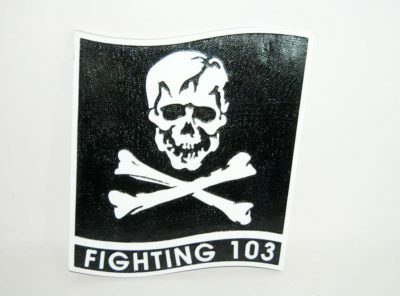 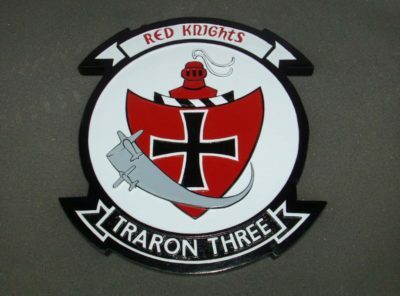 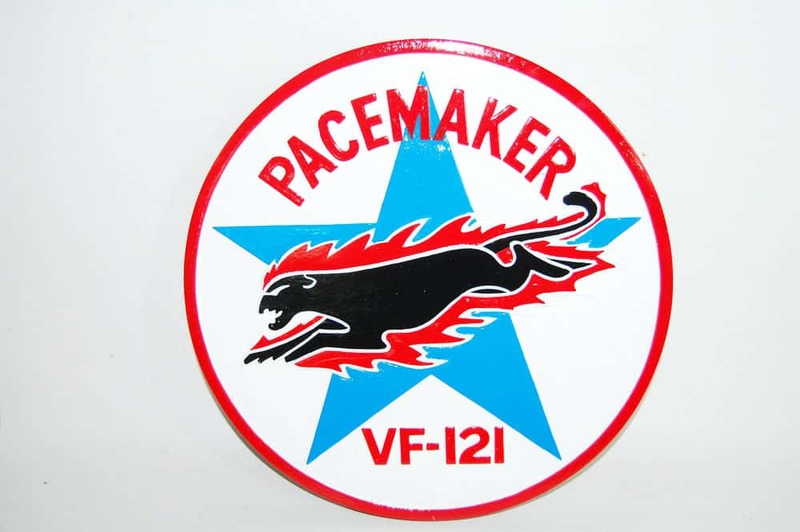 A 14 inch piece of carved Mahogany carefully carved and painted to provide a unique and colorful piece of the VF-121 Pacemakers to proudly display. 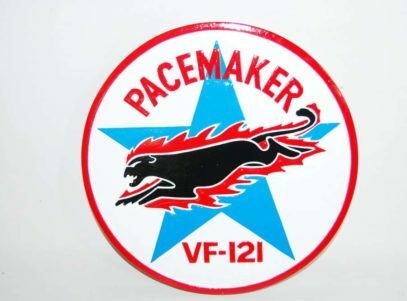 VF-121 (Fighter Squadron 121) of the US Navy was a former Pacific Fleet Replacement Air Group (RAG) unit that, by the time of its disestablishment (30 September 1980), Originally established as VF-781, a reserve squadron on 2 August 1950, it was redesignated as VF-121 on 4 February 1953 and disestablished on 30 September 1980. 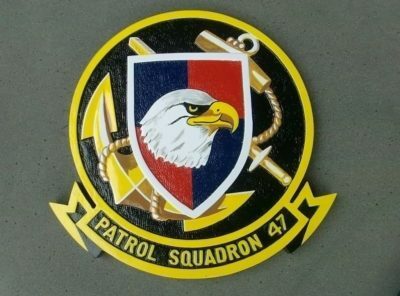 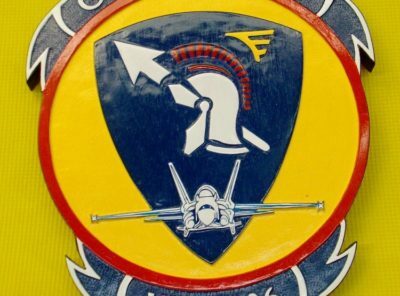 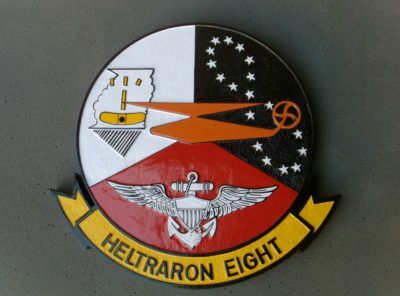 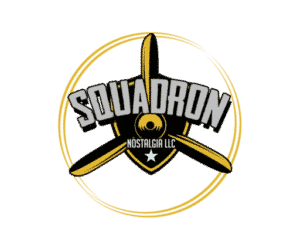 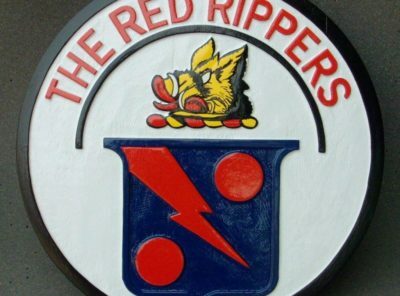 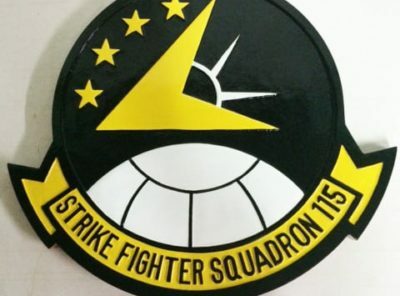 On 11 April 1958 changed duty from Fleet Squadron to the Fleet Replacement Squadron and was later was charged with the training of Navy F-4 Phantom flight and maintenance crews. 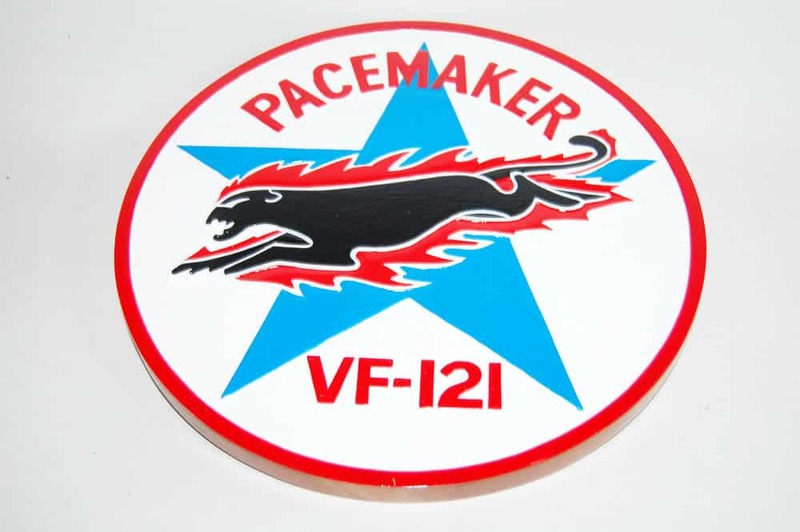 VF-121 is best known as the original host unit for the Navy’s Fighter Weapons School, more popularly known world-wide as Top Gun.